Congratulations to a job well done by our dancers this weekend! We attended a competition in Lincolnton, NC, which is northwest of Charlotte. We are very proud and excited to have had four of our dancers recognized this weekend for their outstanding dancing. Baldwin, Morgan, Emma and Ella were picked as semi finalists for Miss Talent USA! That means that they have a chance to compete this summer in the prestigious Miss Talent USA title competition. Baldwin (age 14) and Morgan (age 14) would compete for Teen Miss Talent USA. They are both members of our Teen Competition Company. 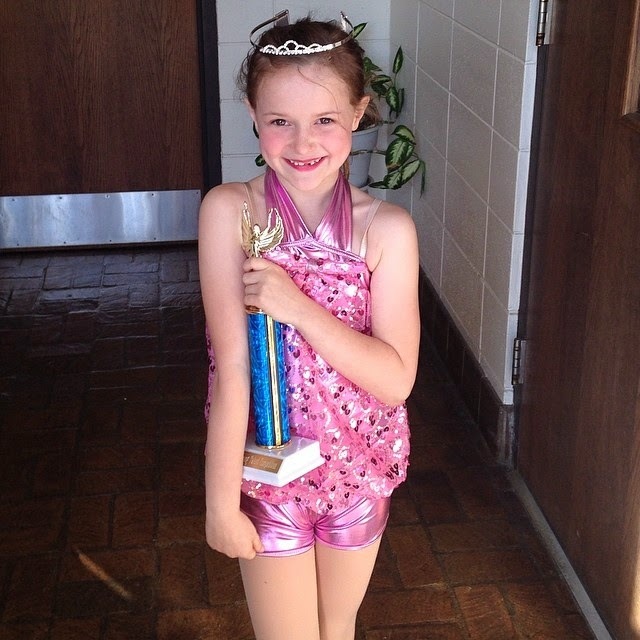 Emma (age 11) would compete for Junior Miss Talent USA. She is a member of our Junior Competition Company. Ella (age 7) would compete for Young Miss Talent USA. She is a member of our Petite Competition Company. To qualify, Baldwin and Morgan competed jazz solos, Emma competed a lyrical solo and Ella competed a musical theater solo. Dancers Unite has multiple teams and gives our dancers the opportunity to compete in solos, duets or trios, group routines with their other team members and company production numbers with the company. Our entire company consists of a variety of boys and girls, from age four to age seventeen. For more information about our competition company, please see our Competition Dance Page.